The “Africa Rising” narrative has been circulating for more than a decade. The Economist, Time Magazine, and some international consulting firms time and again try to convince the world that the African economy is one of the fastest growing economies in the world. In their analysis, high GDP growth rates, growing mobile markets, expanding internet shops, the construction of new buildings which are mainly planned for hotels and offices, the flowing of Foreign Direct Investment (FDI) which focuses mainly on extraction of mineral resources and plantation economy like flower, Pineapple and coffee plantation, growing middle class are signs of a growing economy which prove that the continent is on the right track. However, others vehemently reject such a narrative and prove that high GDP growth rates and the flowing of FDI could not be translated into the improvement of the human life. Things on the ground have not that much changed. They convincingly argue that many African countries are still lagging behind in many ways compared to the East Asian Tigers which have solid economic foundations based on manufacturing activities. Therefore the Africa Rising narrative is a deliberate propaganda to divert the attitudes of the political elite and the masses away from real economic development which can create social and national wealth and expands in many directions. Real or genuine economic development must therefore fulfill a set of criteria which many African countries do lack. 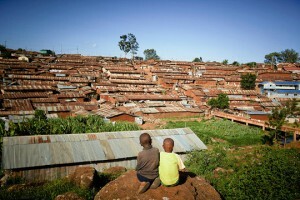 Before I analyze the set of criteria which are necessary for real economic development to take place we should look at why high GDP growth rates in many African countries and rising poverty and slum buildings are two sides of the same coin. Many African countries still rely on only one or two export commodities for their income. Most of the commodities which African countries are exporting are not being processed and produced as finished products. As a matter of fact the value-added chain of most of the commodities is being cut, and many African countries cannot create national wealth. Hence the price of the exporting commodities are fluctuating from time to time with adverse effects on the income of governments which most African governments rely to finance their budgets. A World Bank Report on global economic prospects which was published in January 2015 shows that most sub-Saharan African countries have experienced continuous current balance deficits as a percentage of GDP. This proves that the high GDP growth rates that most African countries have experienced could not help them to transform their economies so that they become less dependent on raw material exports. 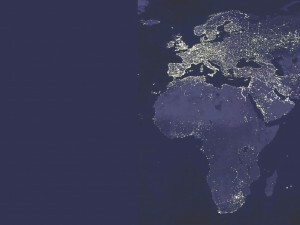 The new World Bank Report asserted that economic development has improved the lives of a billion of people and lifted them from extreme poverty in many countries across the globe, while this is not the case in most sub-Saharan African countries. Accordingly, the number of people which earn less than $ 1.25 a day has increased in most sub-Saharan African countries while in other countries the number of people which earn $1.25 a day has been reduced. Especially, youth unemployment is very high in many African countries. 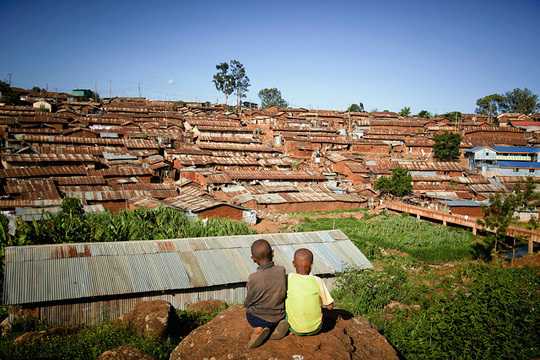 Extreme poverty and the expansion of slum areas in the capital cities, like Nairobi, Addis Ababa and Johannesburg, and other big cities like Lagos have inevitably produced high criminality rates. In fact many citizens remain without jobs and therefore have to beg, which is a widespread phenomenon in Addis Ababa for instance. 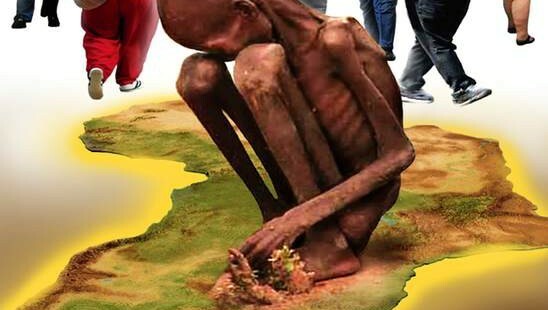 According to the World Bank report, Africa is the only continent which could not meet the Millennium Development Goal (MDG) as set by the United Nations 15 years ago. These and other hard facts prove once again that the supposed economic growth could not spill over to reduce the growing poverty rate. The growth rates mainly rely on the service and export sector. Economies that rely on such sub-sectors cannot create true national and social wealth, and as long as true national wealth cannot be created the reduction of poverty is impossible. If one looks at the general performance of the economy, the service sector has profited enormously from globalization and free trade, while the manufacturing sector which is usually the backbone of any growing economy, could not grow at the same rate as the service sector. Again the World Bank report of October 2014 confirms that high GDP growth rates that many African countries are experiencing is a result of the growth of agricultural and the service sector. Especially, the service sector has grown proportionally high compared to the manufacturing sector. The expansion of the service sector and investment in this area could not expand the market size. Still the main economic activity concentrates in few big cities, especially in the capital cities. Globalization and free trade have therefore produced in many African countries unequal development and mismanagement of the scarce resources. The few wealthy people who are being engaged in the service sector are not investing their money on wealth creating sector, but repeatedly invest on the service sector and import luxury goods which consume the meagre hard currencies. The development of a middle class that is seen as one of the success stories of the economy is not as such innovative and wealth creating, it rather becomes a market for products which are produced somewhere. 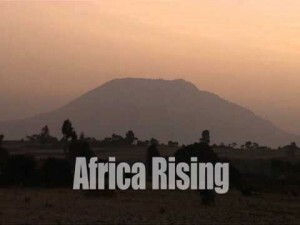 Therefore the Africa Rising narrative does not have a solid foundation, and contradicts the realities on the ground. Because of lack of opportunities at home, especially thousands of young Africans are fleeing from their home countries in order to find job opportunities in Western Europe and other places where they can find better living conditions. As we can see in mainstream media, they have to pay high prices. Most of them die without reaching into their destinations. 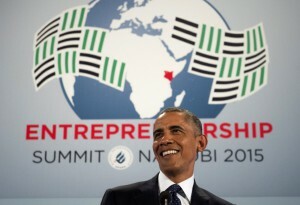 The flowing of FDI into Africa is one of the economic indicators which is seen as a sign of Africa’s Rising narrative. According to the study conducted by the United Nations Conference on Trade and Development (UNCTAD), in 2013 alone $57 billion of FDI has flown into Africa, which is a rise of 4% compared to the previous year. However, other studies of the UNCTAD show that 50-70% of the FDI goes to the extraction and plantation sector. As we know the extraction companies export the resources without processing them. This proves that the extraction companies that control much of the African wealth do not contribute for the development of the internal market. Since the resources are being simply exported, the creation of wealth and income for the continent are not within the calculation of the companies. The workers that are employed in this sector do not earn enough money to secure their livelihood and that of their families. Many of them are being handled as quasi slaves without having any right to protest and improve their lives. The extracting companies are not only responsible for the low level of the living standards of the working people, but they also inflict heavy damages on the environment. Since many African countries do not have social and ecological standards, extracting companies do whatever they want and harm the entire social fabric of the community where they are engaged. Reports from certain African countries like Tanzania and French speaking African countries where uranium is being extracted, radioactive elements are poisoning the water and the entire environment. Most of the areas are not habitable anymore. From this point of view FDI is not contributing to Africa’s economic development, it rather benefits Western capitalist countries where the companies have their main seat. Industrialization – Historically seen a growing economy is associated with growing and expanding industrialization across a given country. The basis for real industrialization is steel and iron, which are again the foundation of machine industry. When industrialization which is based on a machine industry is growing rapidly, it can create jobs for the millions of people who seek employment. As the economy expands in every direction, the size of the market grows due to the linkage effects of this growing sector. Hence other sectors, like the agricultural and the service sector will inevitably depend on this sector. This inevitably increases the accumulation effect of the economy and hence rapid income growth will become the rule of such a system of economic process which is mainly dependent on vast industrialization and expanded division of labor. Unfortunately, this is not the case in many sub-Saharan African countries, in countries which are repeatedly reported to have seen high GDP growth rates over the last five or six years. Most of the African economies do not have a real foundation and hence they cannot expand into different directions to create job and income opportunities for the people who are eagerly seeking job opportunities. As long as there is no industrialization that can spread into different directions the market size of a given country will remain very small. Many African economies still rely on the so-called import substitution industrialization, and this sector could not absorb the work force that come from the rural areas. The conditions in many African capital cities prove that as a result of such kind of not-well studied industrialization policy of the last 40-50 years, many scattered economic actives have sprung up whose accumulation base are very narrow and chaotic. Globalization and free trade have worsened this situation, and many capital cities become dumping grounds of second hand products. Manufacturing – Consciously or unconsciously most studies and reports which insist that Africa is on the rise never mention the relevance of a manufacturing sector for a growing economy. Starting the 18th century onwards prominent economists of that time, especially in England stressed that without a manufacturing sector there cannot be real economic development. In Germany, and later on in the United States of America and Japan the power of a manufacturing sector in creating national wealth is well-understood. Hence, latecomers like Germany, America and Japan have vehemently rejected the idea of a free trade doctrine and concentrated on the manufacturing sector. The leaders and intellectuals of these countries were convinced that for the development of an integrated internal market a growing manufacturing sector is crucial. They were convinced that productivity and income growth and hence a strong national economy without a manufacturing sector is inconceivable. Therefore national cohesion is only possible when a given country systematically develops an expanded division of labor that is based on a manufacturing sector. According to the belief of some prominent philosophers and economists from Germany, countries that neglect this crucial sector sooner or later will have difficulties in maintaining a social order, and their countries and the people will never be respected. The Africa Rising narrative does not take into account the importance of a manufacturing sector for economic growth and economic development. As studies show most African economies do not have a well-developed machine producing sector which is very important for the expansion of a manufacturing sector. Various departments of a given economy can only grow and expand with the existence a machine producing sector. In the absence of such a sector and very limited manufacturing activities, the power of money and its transformation into capital will be very limited. Therefore the Africa Rising narrative does not have any scientific foundation. When some consulting companies and economists repeatedly speak that the African economy is growing, the political elite and the youth in Africa take this as scientific truism and associate themselves with such misguided information. They will never try to find out the intriguing propaganda behind such a narrative. Consulting firms and economic experts only want to make business and earn huge amount of profit and not stand for real development that can benefit the African people. Science and Technology – It is well known that without constant efforts and researches in science and technology there cannot be any new findings. Researches in science and technology are the basis of innovation. Only with new innovation one can produce instruments of productions which raise productivity. New innovation in technology saves production costs and resources. With given resources one can get better yields and qualitatively better products. New innovations give way for further innovation that can stimulate growth. In other words cumulative growth is only possible through constant innovation. The advance in manufacturing sector and the production of high quality goods depend on permanent scientific researches and the introduction of new technologies. Without major breakthrough in this field there cannot be any progress in many areas. Only with the advancement of science and technology any country is capable of producing many kinds of instruments, which can be used for the production of other goods. The production of durable and non-durable goods of various types is only possible when governments could allocate enough money for researches. Countries which do not focus on this particular aspect could not have a secured life, and could not create true national wealth, which guarantees a secure livelihood for the people in any given country. If we study the development of capitalism, especially after the Second World War, economic growth and development is directly associated with technological developments and new findings. Technological development can only possible when universities and other similar institutions are well equipped with all sorts of materials and laboratories, including books. When we see the various types of investments in different fields, all investments are directly associated with the introduction of new technology. Therefore in all capitalist societies what matters are not numbers, but qualitative transformations that are associated with science and technology. 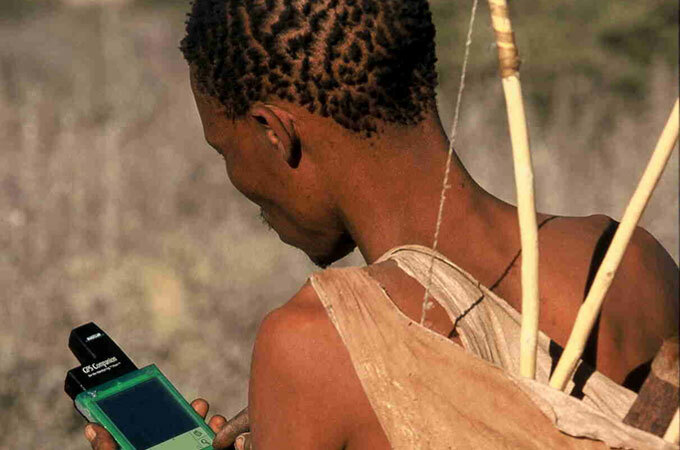 In many African countries the relevance of science and technology is either not well-understood or not known to be a key driver of economic development. Many think that investments in few scattered areas which are not directly linked with the lives of the people and real development are being seen as the basis of economic growth. After almost 50 years of various types of economic policies, many African countries have not yet understood the relevance of science and technology. Countries like Japan, South Korea, and now China that have understood the role of science and technology are advancing in many areas, and have greater market shares on the world market. This is because they have followed the right catch-up strategy from the very beginning. All these countries have never taken the advices of foreign experts as the sources of their development strategy, but they have used their common sense and give continuous efforts to catch-up with the capitalist west. Therefore the Africa Rising narrative without science and technology does not have any substantial foundation. Only through technological breakthrough there can be real economic development and social transformation. Institution – The existence of effective institutions across a given country are signs of a growing economy. Institutions are binding infrastructures of the different social groups in any given country. According to the division of labor of the different institutions in any given country, some institutions can mobilize human and natural resources for economic development and social and cultural activities. Countries that do not have effective and very strong institutions cannot become accountable for their own people. The history of Western capitalist societies proves that, many countries in Western Europe have begun building institutions in their respective countries. Municipalities, different departments which are essential for different services, like water management and other services, schools and vocational facilities of different types, churches and well-structured halls are some of the sites which are being built by the various institutions to bring people together in any given community. In such a way the valorization of money, products and capital will be fastened, and this in turn helps the economy to develop in leaps and bounds. In other words, without effective and well-developed institutions across a given country one cannot talk of economic development. The Africa Rising narrative does not raise the relevance of effective and well-organized institutions for resource mobilization and community life. Those experts who repeatedly tell us that Africa is on the rise have taken for granted that African countries do not need strong institutions for economic, social and cultural development. 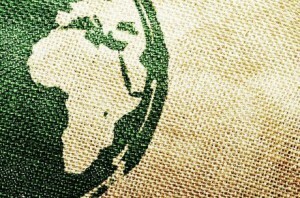 On the other hand it is understandable that multinational companies and those economic experts can manipulate the political elite and steal the wealth of the continent if each African country does not have strong institutions and well-articulated intellectual force that is equipped with various types of knowledge. Therefore we do not have to wonder when those experts do not want to tell us the truth, and simply insist that economic growth can take place without certain fundamental aspects, like institutions and well-organized work force that can defend its right. As we observe and studies show many African countries after 52 years of political independence do not have effective and well-organized institutions. They still do not understand the importance of institutions for resources mobilization. By simply focusing on the bureaucratic machine, they believe that they can effectively administer their societies. As we all know bureaucratic apparatus are more or less repression machines that are organized to suppress the grievances of the masses and to maintain the status quo. State machines in many African countries consciously or unconsciously hinder economic and social development. The state bureaucratic machines in many African countries are simply extensions of the global capitalist system. The security, the military and the police force are equipped with instruments that come from capitalist countries. In countries where political and social consciousness are very low, and in countries where civil society movements are not well-developed and firmly rooted it is easy for such a force to suppress democratic and republican movements. Therefore the bureaucratic machine by simply consuming the resources of many African countries without in turn delivering any tangible services to the people serves the interests of the political elite and foreign forces that are engaged in resource extraction. Space – By space I mean the development and existence of well-organized cities, towns, villages and rural areas. Economic activities can effectively take place, grow ins scope and size when any given country has well-developed cities. Space is not only a place for economic activity, but also for cultural and social activities. Only within well-organized cities people can become creative and innovative. The history of city buildings in many western capitalist countries prove that cities become the basis and foundation of various types of economic activities. Without proper houses, sanitation systems, and other social and cultural infrastructures simple economic growth does not have any meaning. The expansion of capitalism and hence globalization in many Third World countries, especially in Africa has totally distorted the relevance and meaning of well-organized space for human life. Because of the low level of social and political consciousness from the side of the political elite millions of people in many African countries are not seen as true human beings who need ordered spaces to live and become creative. Since economic growth is seen dissociated from ordered and well-organized cities, millions of people are compelled to build their spaces without proper planning systems. As a matter of fact such shanty towns become breeding grounds of all sorts of habits and criminalities which disturb the human imagination. The building of big apartments, hotels and villas for the well-to-do class create abnormal situations in many capital cities of African countries. Ordinary Africans are being seen as inferior by those wealthy people who become rich without invention and working very hard. The size of the market in any country depends not only on the manufacturing activities, but also on the size of cities, towns and villages. In turn all these spaces must be interconnected with multiple types of transportation systems which transport goods, resources and human beings from one area to the other. Only in this way the economy of a given country can develop, and further technological innovation become possible. In the absence of well-organized spaces across a given country, the valorization of goods and capital is practically impossible. The Africa Rising narrative neglects the role of living space as organic structure for the development of a given economy. Since economic growth and development do not take place in vacuums or on air, genuine economic development is meaningless without aesthetically designed cities which have greater psychological impacts on the people of a particular country. It is up to the African intellectuals to dismiss such kinds of narratives which do not have scientific foundation. The confusion that neo-liberal oriented economists and other experts spread and preach must be confronted from all sides, and African intellectuals must prove their social and political awareness by vehemently rejecting such a false narrative. We have to understand that the main intension of such kinds of propaganda is to fix into the minds of the Africans to particular things so that they have to accept this as if there is no another avenue of economic development. 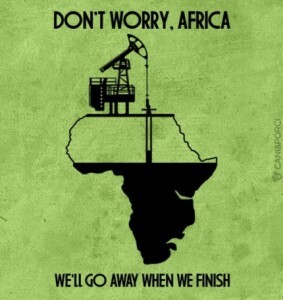 As we see Africa is a besieged continent, and foreign powers are competing to control the resources of the continent. In the name of fighting terrorism western governments and their companies create in strategic areas unstable situations so that they can have access to the resources. In many African countries because of artificial differences and because of low level of political and social consciousness people of a given community and country are drawn into permanent wars. Those forces which think that they are clever and wise than others, for the sake of short term gain are exporting wars into our continent. African governments are becoming indifferent to such kinds of foreign intervention into the affairs of their countries. Some of them like that of the Ethiopian government has changed itself to a vassal state and engaged into war in Somalia and elsewhere. In such unstable situation when the people of a given country are being caught in permanent war and fear their cannot be entrepreneurship. The people of a given community and country cannot mobilize themselves and their resources to develop a strong economy that is based on science and technology. Therefore real economic development and a genuine middle class which is innovative can only occur and emerge when the political system is conducive and when social stability is secured. In an atmosphere of social instability, and chaotic conditions a middle class culture is inconceivable. Innocent people may ask what kind of alternative there is other than the Africa Rising narrative. To the present African predicaments there is one solution. The pure market economy which has been propagated for more than 6 decades cannot bring any tangible solution to the many complicated problems that many African countries are facing. Free trade doctrine and globalization have proved time and again that they can’t be effective methods of solving the African social, economic and cultural crises. Therefore African countries must follow another strategy if they want to become successful and build strong nation-states. The only method to solve African problems is a holistic approach which is based on the Renaissance principle. For this the political elite and the people must change their mindset. Starting from the Greek civilization, to Renaissance, Reformation and then to Enlightenment there have been transformation in mindset of the people and the political order. That time intellectuals were compelled to ask themselves why they were condemned to live like that and governments behaved like that. After they found out the causes of war, diseases and hunger, they had to challenge the system from all sides. Through rigorous scientific research and intellectual activities they finally broke the rigid attitude of the ruling classes and the value system that was responsible for permanent war and mass dislocation. Confronted with such kinds of growing intellectual activities and debates on various issues, they ultimately found one common denominator and idea through which they can solve all the problems step by step. In other words, without a coherent idea and a common agenda there is no forward movement and progress. 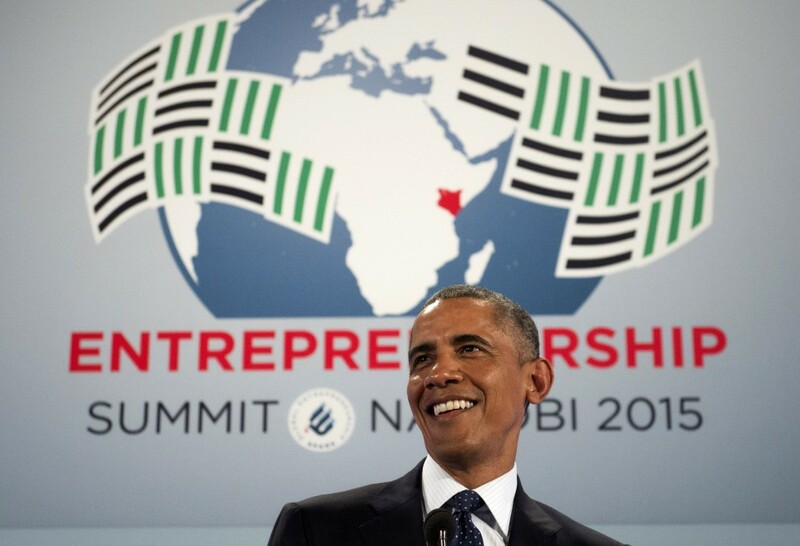 If African countries want to become successful they have to agree on a common idea. Only in this way they could mobilize all the available resources and build a system which can accommodate the interests of all the people in each country. For this, political reforms, democratizations of the given institutions and creating effective and dynamic institutions are essential aspects that must be taken urgently. Without bold political reforms and without organizations people in any given country could not build a dynamic social and economic system. Political reforms must be undertaken in such a way so that the political elite and the people in each country become socially, politically and culturally aware. The political elite must understand that the resources in each country belong to all the people who are the citizen of each particular country. Therefore the given resources must be exploited so as to develop national wealth which can benefit all the people in each country. Besides this the introduction of a holistic education system is necessary which can rationalize the minds of the people and the political elite and which is suitable for creative and innovative activities. Only in this way African countries could solve their existing problems and build a solid system based on science and technology.